Butter is a dairy product that consists of butterfat, milk proteins and water. It’s made by churning fresh or fermented cream or milk. It’s used as a spread, in cooking and baking. When butter is being produced, it can be added salt, flavorings or preservatives.It’s solid when refrigerated, but softens at room temperature. It melts to a liquid at 32 – 35oC. Most butter is salted, unless stated unsalted. Unsalted butter is preferred for baking so the baker has control on the salt content. It is however more perishable. Unsalted butter is a superior fat to use for baking as it produces light and fluffy cakes, wonderful pastries & cookies. It should be stored in an air-tight container and stored in a cool dry place for a few days. It’s better when refrigerated since it lasts longer, up to a month. 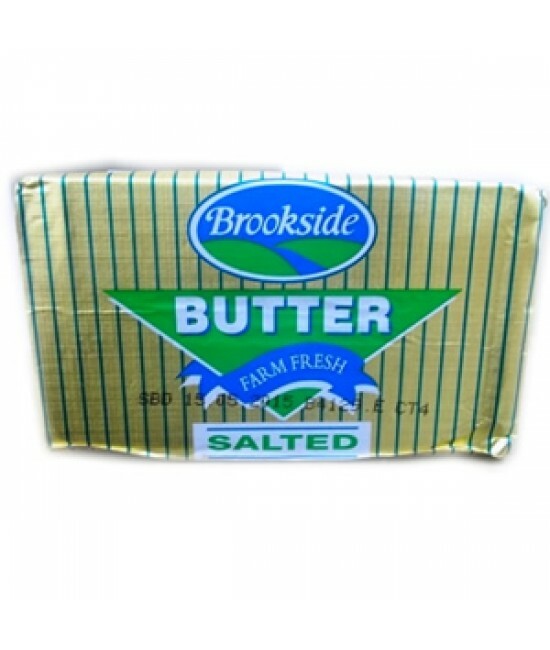 Butter is easily found in major supermarkets in Kenya such as Tuskys, Nakumatt or Chandarana. You can purchase as a stick of butter or in a larger container, or block. It’s however a bit more pricey than margarine is, but it’s worth the quality. Margarine is a substitute for butter. It’s made from refined vegetable oil and water. Plant oils that may contain oils are used to make it. It’s used for spreading, baking and cooking. Margarine is used for cakes, cookies and many other pastries. 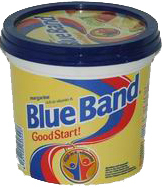 It’s a more economical substitute for butter and is found locally in shops and supermarkets in Kenya. It’s the more commonly used fat in Kenyan home baking. It’s not as perishable as butter and can be stored longer in an air-tight container in a cool dry place for several weeks and even longer than a month when refrigerated. This is solid fat at room temperature. It’s virtually odorless and flavorless. It is used to make crumbly pastry that should not be elastic, such as cake. It makes pastries light and flaky. It is sometimes substituted for butter or margarine while baking cakes and cookies, however, it does not give the same results in taste and texture. Shortening is easily found in local shops and supermarkets in Kenya and is very economical. It’s cheaper than margarine. Vegetable oil is plant, animal or synthetic fat used in frying, baking and cooking. It’s typically a liquid at room temperature. There are different varieties of oil such as palm oil, coconut oil, palm oil, soybean oil, canola oil, pumkin seed oil and many others. This is a healthy substitute for margarine for healthy baked products. It’s also used in some cake recipes such as carrot cake as the fat used in preparing the cake. Oil, when used in cakes, gives moist but denser cakes in texture. 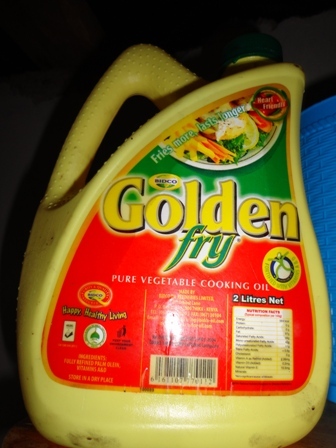 Vegetable oil is easily found in local shops and supermarkets in Kenya and is very economical. This is a vegetable oil made from olives. It’s ranked from highest to lowest quality based on the pressing method; extra virgin, super fine, virgin and pure olive oil. It should be stored in a cool dry place because light and heat cause the oil to decay and go rancid. It is used in cooking, baking and other topical applications. In baking, it can be used as a substitute in cake recipes that call for vegetable oil. It is also used in the making of Italian bread and other yeast products. Olive oil is found in major supermarkets like Tuskys, Chandarana and Nakumatt. It is quite pricey, especially depending on the quality or standard (e.g. virgin olive oil). It is however worth the quality and it’s a healthy option especially while baking healthy products. 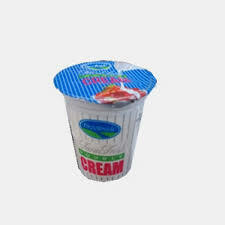 Cream is a dairy product that is composed of high butterfat layer skimmed from the top of milk before homogenization. Different grades of cream are distinguished by fat content. Double cream has 45% milk fat and it whips easily for puddings and desserts. Whipping Cream has 35% milk fat and it also whips well, but lighter. It’s used for decoration in cakes. Single cream has 18% milk fat and it’s poured over pudding and to make sauces. Cream is mainly used in baking in cake recipes and making frosting for the cakes. Cream can be found in major supermarkets such as Chandarana, Nakumatt & Tuskys. They come in sizes of 150 ml to large liter bottle sizes. The most common creams are double and whipping creams in Kenya. If you want to learn how to bake, sign up and join one of our baking classes. Contact us by going to our Classes Page – you will also find our current scheduled class dates & intake.